This event happened on August 6, 1945. 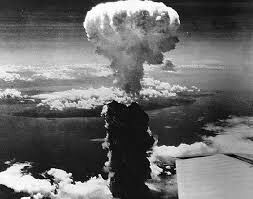 This bombing killed about 80,000 people. After the bombing, it left japan no other choice but to surrender. The peace crane is a japanese tradition. 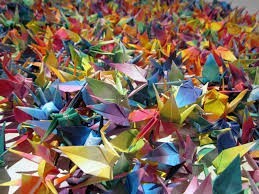 The person that folds 1000 cranes, their wish come true. Families come together to complete the task. This story is about a girl that is very sick. She was 2 years old when the bombing happened. She made over 1000 cranes. Her wish didn't come true.